The thrill of the hunt is one thing, but what about the thrill of the steal? 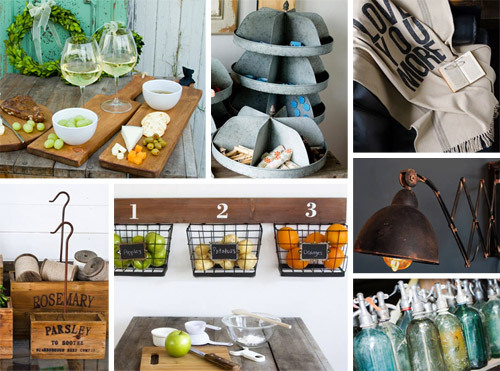 Decor Steals serves ’em up daily in the form of sales events that promise vintage-inspired and industrial chic home accessories, lighting, and furniture at up to 80% off retail (you can be first in line thanks to their daily deal announcement). And this week someone will score $500 to spend there. Please use the Rafflecopter widget below to enter (it might take a second to load, but it should eventually pop up below this paragraph). This giveaway is available to residents of the United States & Canada. I’ve been watching Decor Steals for a while now, but haven’t purchased anything yet. I’d love to win and get the wood chandelier that’s on the “extended steals” today. First of all, I enter all of these, convinced I WILL win someday! Ha. Secondly, I just wanted to hijack this empty thread to tell you I ordered your Vintage Key hook in Cocoa Bronze from Target the other day, and I am so excited!! I had been looking for something just like it for our entryway for months, and lo and behold, there you were unveiling it! I can’t wait to get it, hang it, and geek out, and maybe send you a dorky picture. Thanks for designing just what I needed!! You’re so sweet Leah, thanks so much! fabulous give-away! i’ve made several great purchases from decor steals. they always have such unique, funky items. So many great things that I would like to have. I love decor steals! I’ve been their customer for years and absolutely love everything I ordered from them. I never comment on blogs but when I saw this giveaway I just had to! Love your blog. I completely forgot you moved the giveaways to Tuesday and got SO excited when I saw a new post. This giveaway is meant for me. My boyfriend and I are closing on our first house early April and I have NOTHING cute to furnish it with! EEEEEEE! I hope I win. I would love some new decor items! Just bought my first home and its going to be pretty empty until I slowly buy things to put it in it! hehe! Oh, oh, oh! I forgot you moved these to Tuesdays. Today is my birthday; maybe I’ll catch some luck! I love decor steals! My morning is not complete without a visit to their website to see what kind of treasure they are selling. Not to copy Leah :), but I too ordered some of your hooks/pegs from Target. They arrived today, and I LOVE THEM!!! Aw, thanks so much HollyO! oh, and you should definitely have fans send pics of your Target products used in their homes and put them in a scrapbook! Love that! We have so many awesome pictures that people sent us of themselves holding our book (or their babies or pets “holding” it, haha!). I love Decor Steals! I just received the herb boxes the other day. Love Decor Steals!Would be great if I win so I can decorate my boy’s room. I am looking to update a couple of rooms and this would really come in handy to get that accomplished. Terrific. Thanks for sharing about this site! I LOVE DECOR STEALS! Half of my house in Hawaii is decorated with things from the site, and half of my storage unit back home in Alabama is filled with things waiting to decorate my new home in Georgia. I would LOVE to win $500 to buy some fun new things. Thanks so much Susan, you’re so sweet! Loved your idea of writing down list and then taking a picture of it before you go out. I’m on my way to Target right now to get one for my laundry room. We really want and love this one!!! Oh, thanks! I’d never heard of Décor Steals before. It looks awesome. Both the men’s and women’s hockey teams won gold medals for Canada…great. Décor Steals is available in Canada…awesomesauce!! Does Fab Freebie close at certain day? My IPad May need refreshing but I only show limited entries but my entry is failing to register? I’ve never had problem like this before & always got click back sign of completed. Have I missed something! Sorry, it’s prob something I did in error. So excited for news of healthy baby boy, Barnacle. It could be a nickname that sticks for life so watch out, it’s dear! So sorry Jeanie! The Rafflecopter box should tell you when it ends (the remaining hours are in the top left corner). Maybe it’s being glitchy right now, but if you check back later or try it on another device (cell phone, work computer, laptop, etc) it might work better for you? Hi! I just went to your giveaway site, but they don’t seem to want to ship to Canada!!? We always beg our vendors to open their contests beyond the US, so sometimes a store that doesn’t typically ship to Canada will make special arrangements to do that for the giveaway winner (so we can include as many readers as possible). Hope that makes sense! Totally excited about this one……because I just closed on my new house last week! I’ve entered quite a few of these contests and can’t believe that I finally won! Thank you so much for hosting this contest! As a soon-to-be university grad, this will go a LONG way to helping me make my first place my own. I just checked the website out and have my eye on the huge postal organizer – I hope they feature it soon. And I’m looking forward to checking my email to see the deal of the day each morning! Thanks for sharing this! Your blog is so insanely popular, but it would be pretty kickass to win. I buy SO much stuff from Decor Steals, it is the best website ever. Now if only I won this giveaway, my hubs could stop getting miffed every time a box showed up on the porch. :) Thanks for another great one! I have to ask…. i won a giveaway on a different blog. The prize was a winter coat from LL bean. So, i emailed all my info. Never got the coat, never got an email. I even contacted the blogger numerous times and never got a response. i was uber dissapointed! So, here is my question…are the giveways bogus marketing ploys or what? i would love to hear from someone that has actually won one of these and received the prize as promised. maybe i just had a bogus experience. I want you to know im not trying to accuse you of anything at all… love you guys. Waiting for your book to be shipped to me and yall have lit a fire under my behind to get things done around the house . thank you for all you do. Oh no, that stinks! On nearly every one of our giveaway posts you can read the last few comments and hear from the winners, and on our Facebook page they occasionally upload pics of their prizes when they arrive (someone even shared a pic of the sofa they got, which was so much fun to see in their house!). Most big brands would never let anyone get away with using their name on their blog and not truly delivering a prize from them since it’s bad press for their brand. Maybe if you took to Twitter and Facebook and told LL Bean what happened (including a link to the giveaway that you won), they’d jump in and make it right? I just LOVE décor steals!!! This is my favorite giveaway yet, I really hope I win!! I’ve never heard of Decor Steals – thanks for the tip! I have never heard of/come across Decor Steals before! Thanks for sharing–love the stuff on the site! And thanks for the giveaway! The first email of the day I look at to see my deal of the day!! I just received two cutting boards I ordered from Decor Steals. I don’t think the quality was very good and they don’t allow returns. Just know you are taking a chance if you order from them.